Can Comcast Keep Up with the Competition? 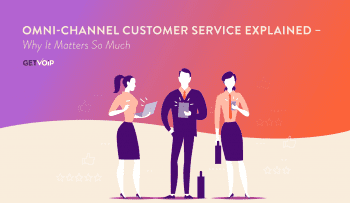 Comcast Xfinity, once known as Comcast Digital Voice, works a some different technological underpinnings than most business VoIP providers, which should come as no surprise, seeing as how Comcast is a leading cable television provider. Their service gets to your door on something called Data Over Cable Service Interface Specification, or “DOCSIS.” DOCSIS is a protocol that allows you to get cable television and internet over a cable that has both fiber and copper. Xfinity Voice has a basic and premium plan. Compared to other big providers – they have a comparison chart that lists FIOS, CenturyLink and a pre-RingCentral AT&T – They have some good business bundles. But on VoIP alone, it’s only a bargain for the uninitiated. A regular reader of GetVoIP.com will probably recognize a few “premium” features that I consider standard. Each basic line is priced as $24.95/mo. This includes unlimited local but metered long distance. As options, you can get Toll Free for $5/mo + 5.9c/min, or 8.9/c min for calls that originate in Canada. There is also a $9.95 activation fee for toll free numbers. Voice mail is also a $5/mo option which includes a message indicator on your phone, a group distribution list, DND, voicemail to email, online VM access, and scheduled greetings. You also get one listing in the local yellow/white pages, and caller ID for no extra fee. So, you’re looking at $29.95 for a basic service, which sounds reasonable. The full features phone line is $44.95 a month, and includes a White/Yellow Pages listing, Caller ID, Call Hold, Call Transfer, 3-way conferencing, Anonymous Call Rejection, Caller ID with Call Waiting, Speed Dial with 8 or 30 digits, find me/follow me, failover, call screening and other privacy rules, and unlimited local and long distance. Voice Mail is an additional $5/mo, and includes the features mentioned above. Toll free is also the same price as listed above. Comcast subscribers benefit from 24/7 business class support, online billing, and dedicated account executives. Comcast also has a few rare features, including call trace (similar to AdTrakker’s service), call screening with up to 12 numbers, and repeat dialing/auto callback. Comcast has a traditional pricing structure that incents bundling with TV and/or internet. Internet and phone bundles are start at $99.00, and “Triple Play” bundles start at only $103.95. But here at Get VoIP, we focus on VoIP, not bundles. So for $50 a month, can Xfinity Voice stand on its own? 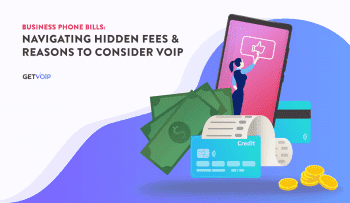 Compared to other cable and phone companies, yes, but it simply can’t compare to some of the more dedicated business VoIP providers in that price range. Nextiva and Vocalocity, to give two examples, have a much more robust feature set, and have similar prices for just one user. 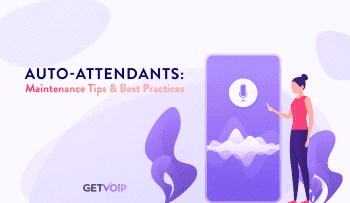 CallCentric, to cite another example, has unlimited inbound for $8.95/mo and a 1,000 minute outbound for $12.95/mo, which gives you voicemail, auto attendant, and about 30 other free features for less than the price of Comcast’s basic plan. I will admit to a bias. Not a little bias, I’m talking a full-fledged unabashed bias against cable and phone companies – for VoIP. I’ve heard the television described as the ultimate proletariat device: whether you are a tech snob or a tech slob, you press a button and it turns on the TV and it starts showing a program. The same, I’m afraid, can no longer be said for telephones, especially business telephones. Today’s SMBs need serious features, and Comcast isn’t keeping up. A&T is already outsourcing some of its business VoIP services to RingCentral. Will Comcast do the same in the next few years? I invite any and all comments.